Hey great theme so far, really love the design. However I got some questions I couldn't figure out. Would if you could help out and take a look, we have to show it to the client tomorrow. 2. 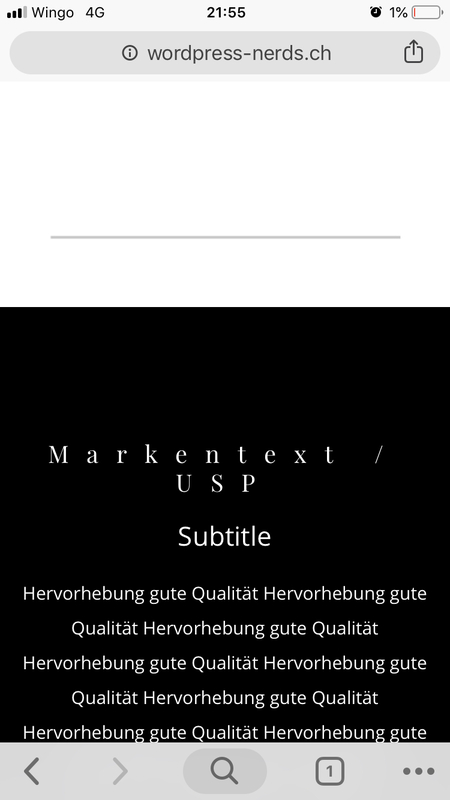 I have problems with the lookbook, if I delete the autor (http://wordpress-nerds.ch) it looks off from the text, also images seems to be displayed kinda weird, can you help? mobile: header has a white background, don’t now how to deactivate it. Also mobile logo doesn’t work (because added a black version there), also revolution slider is not showing up. Our theme has a very important feature to create Header and Footer customize. Which is very unique than other theme. 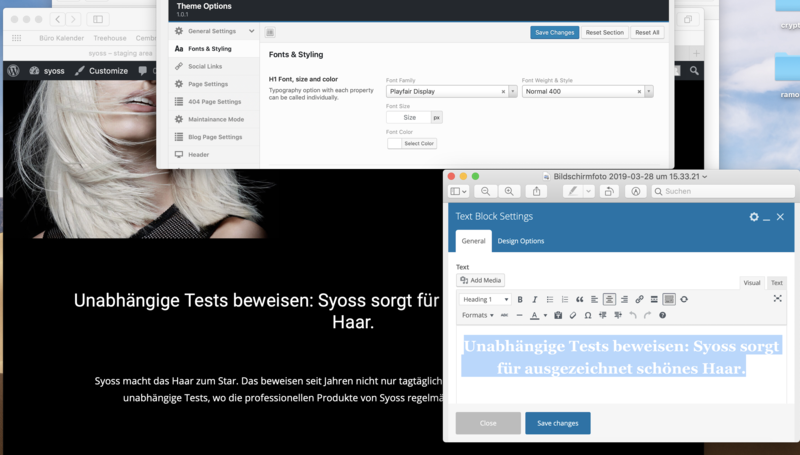 Even We are providing full custoomization options to user to create the Header and Footer using WP Bakery Page builder, which is not available with any other theme except us. So if you want to do anything with the Header and Footer just do with the builder as it is you use in the page, like background color, alignments of images and contents. I have changed the backgound color for the header as a sample. Please change the color according to your need. then title of second lookbook (Maxhold Hairspray) http://wordpress-nerds.ch/ is bold, even when it set to playfair display and regular 400, don't know why this one is the only different and can I set somehow the title different that it's not always cut so short? I am really confussed on your problem. Can you please little bit more clear on it. It will be veryy helpfull to the team to sort the problem to solve. If you hit the bullet point for the second row the animation of the slide change is from the bottom, is it somehow possible to make it visible from the left? You are using Pageable Element of WP Bakery Page Builder. All the things are pre-build into this. You may choose any of the predefined. We are unable to logged in with your given credntials, otherwise we colud have been add this code. And also I need those to check other issue too. Previous issues are solved by our team. Please let me know when you complete your work, our team will start checking working on it. We will solve the issue. Just confirm once you completed it. Actually, he moved to other work by seeing you are working and later on he left for the day. So he will start working from tomorrow only. Really sorry for that. Now the navi works with only #anchor, but if it lands on the section, the theme can't scroll anymore, so you land at the right place but you can't scroll anymore. It seems that you are trying to mix all demos sections into your site, but few things are very demo specific and only work with that demo. Single Page Scroll demo is one of that. If you go through our demos, all the part like Menu/ Nav in Mobile is working, even I have checked twice with your site and our demo by comparing each. Please let me know if our team need to do so, we need your confirmation before start working on it, as few structural changes has been made by you which may need to change. We cant change that without your concent. would it be working with a different one?